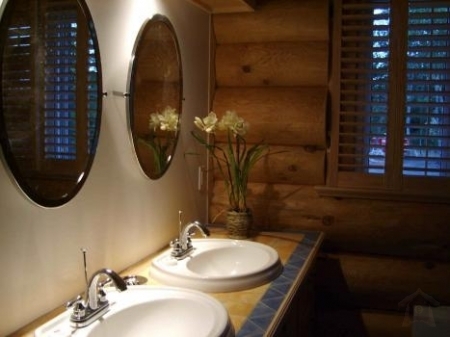 This beautiful log cottage is situated on the waterfrontdirectly in front of Heron Lake. 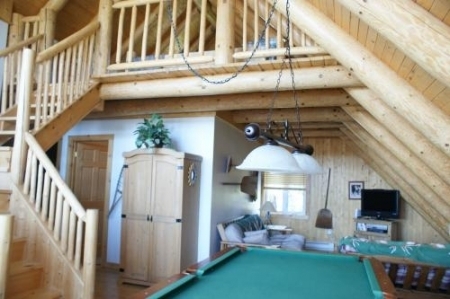 This vacation rental cottage can accommodate 6 to 12 people. Small dogs are accepted($) but not cats. 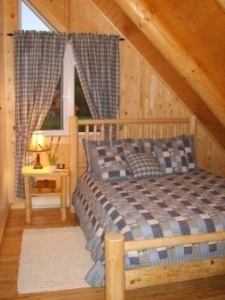 The Orignal cottage offers lovely decorated 3 bedrooms with queen size bed with a single bed on top, it has 2 bathrooms. 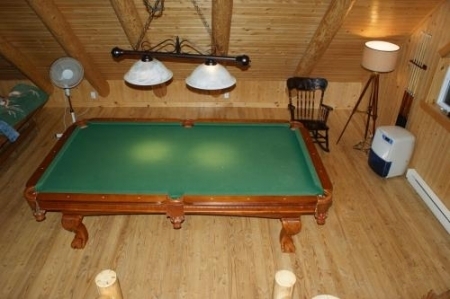 A pool table for your enjoyment. Impecable decoration and big bright windows. 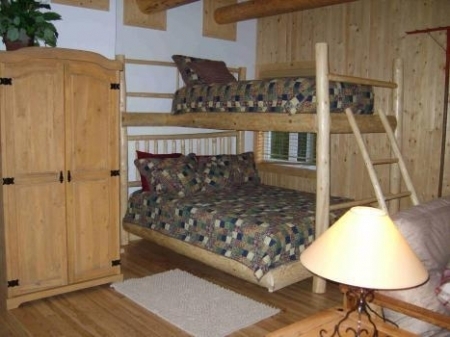 The mezannine of this vacation rental cottage is a nice dormitory area with 4 single beds. In the room on the main floor there is also an electric fireplace. 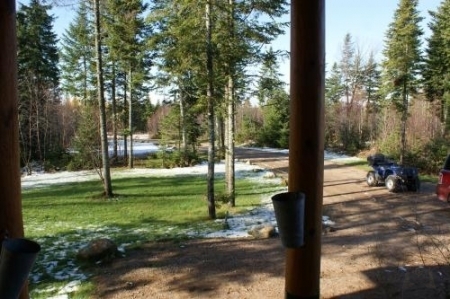 On the main floor thecottage you will find a large living room with a slow burning wood stove and a spacious dining room that can easily accomodate 12 guests. 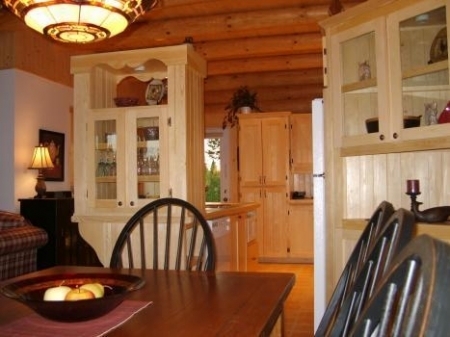 A large well equipped kitchen with dishwasher, microwave and everything needed, dishes, pots and pans etc. Two satellite tv's, CD player, video, gas propane barbecue. Linnens and towles are furnished. 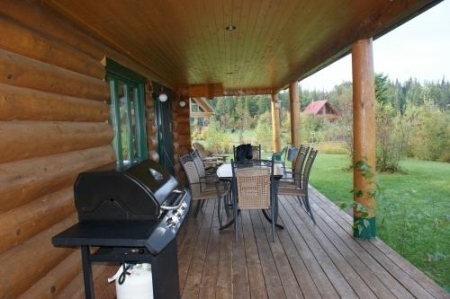 Large verandah with patio funiture and a small outdoor fire pit. 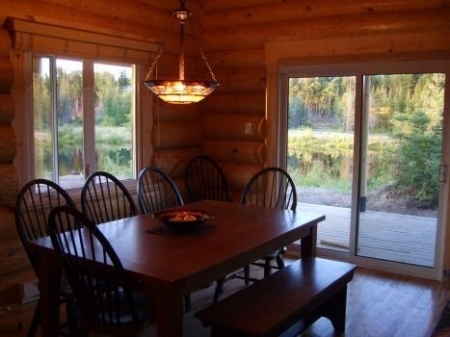 The cottage is situaed in front of the small Heron Lake for swimming, or fishing. 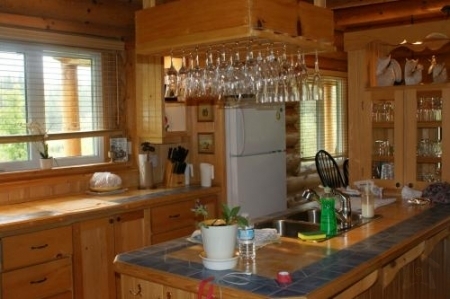 Our log vacation home village is near golf Grand Portneuf and the Golf des Pins as well as being close to Valcartier vacation village. You will enjoy yourself in the waterparks in the summer and snow sliding on tubes in the winter. 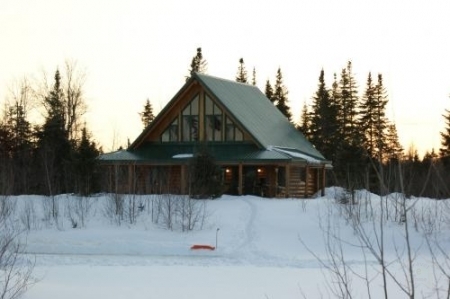 There is also a ice village for ice fishing poissons des chenaux in Ste-Anne de la Pérade. Just 50 minutes from Quebec City, the Quebec Carnival and numerous other festivals will keep you entertained. 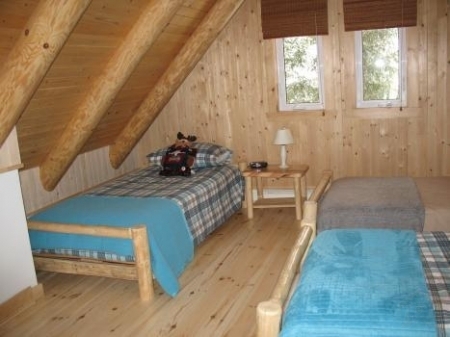 Fishing for walleye on the majestic St-Lawrence River is also offered just 15 minutes from the cottage. All kinds of activities await you throughout the year! Nature at it’s best, just a few minutes from one of the most beautiful cities, Quebec.